Spice up your designs today with these high-quality abstract brushes from Digital Revolutions. Feel free to use in both commercial and non-commercial work, just make sure to credit us with a link back to our site. Thanks and enjoy! Great site and useful content! Um,excuse me i’m wondering i can’t seem to find the brushes in my ps? If you do all of this and the brushes are still not showing up it could be because you have an older version of Photoshop. 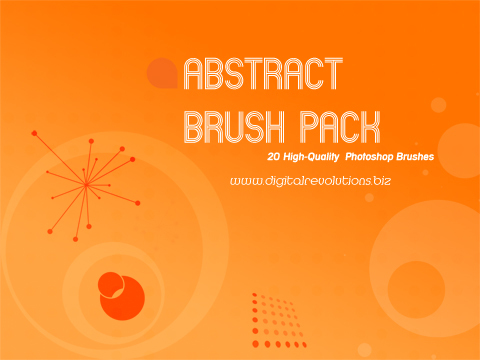 These brushes were developed in CS3.